LG G Flex is a high-level Android phone released in 2013, provisioned with a 2260 MHz Quad-Core CPU, a 6" multi-touch display, and 2 cameras, a 13 mega-pixels back-facing camera and a 2.1 MP front-facing camera. Let's take a closer view of what this cellphone can give us. This cellphone is much lighter than what you expect from a device like this. This phone is quite a compact cellphone, given that it presents a 6 inches display and it only has 6.32 inches long. This cellphone has an amazing design, with a thickness of just 0.31". 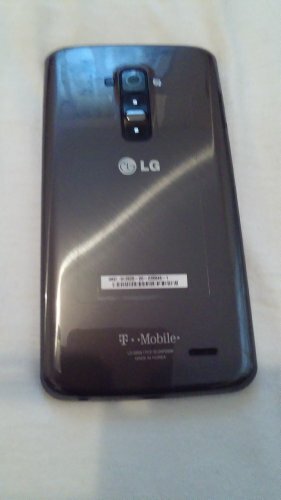 LG is offering this phone in gray color. LG sells the LG G Flex with a high-tech 2.26 GHz Quad-Core processing unit, packed into a Qualcomm Snapdragon 800 MSM8974 system chip and a large 2 GB RAM. Graphic intensive apps often consume lots of processing power, so it has an Adreno 330 GPU speeding at 450 MHz to unload the processor. This cellphone counts with a huge 32 GB internal memory and even though it doesn't include an SD extension slot, it is still enough to store hundreds of applications without even thinking about filling it. 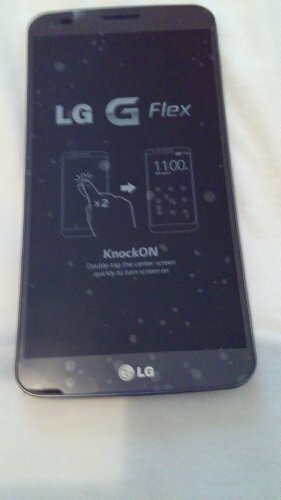 LG packed the LG G Flex with a nice 6-inches display, and a resolution of 1280 x 720 (HD), which makes it hard to distinguish the pixels forming the display. This display uses P-OLED capacitive technology, and has multi-touch detection. This device features two cameras, a 13 MP back-facing camera and a 2.1 MP front side camera. This phone can also shoot videos in 1920x1080 (Full HD) at 60 frames per second. Additionally, the camera includes multiple great features: auto-focus, flash, fast burst mode, face detection shooting, HDR mode, smile detection shooting and geo tagging. This cellphone offers wifi connection (and it can share it with other devices acting as a modem), HSPA+ 4G data connection, that is not as fast as LTE-A or LTE 4G networks or 3G fast data connection, over HSDPA, UMTS and EDGE technologies. This phone uses a Micro SIM card for GSM services. This cellphone comes with a 3400 mAh amazing Li-Polymer replaceable battery providing this phone a marvelous battery life. This device has a reported stand by time of 624 hs and a talk time of 27 hs. The LG G Flex also comes with many interesting features like Bluetooth (4.0), GPS (Global Positioning System), Infrared Port and NFC, and multiple sensors like Light Sensor, Proximity Sensor, Accelerometer, Gyroscope and Compass. 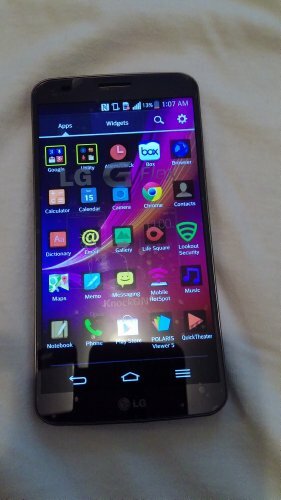 The LG G Flex is a great phone that costs around 350 dollars, quite close to other similar devices. If you will use this cellphone to play games, will use it as a social cellphone or need a work device, you will definitely love this cellphone. 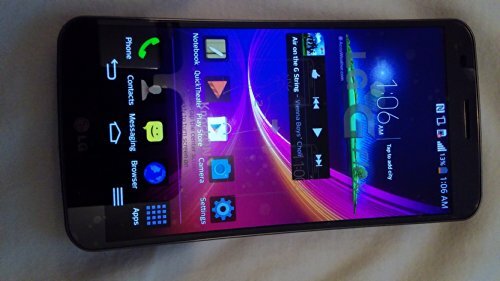 This phone is sold with USB Data Cable, User Manual, Charger, Stereo Ear Microphone and Quick Service Guide.